opportunities for pre-spawn walleye trolling using crankbaits. If you’re like me you can’t wait for the first few fishing adventures of the spring. In Michigan we’re blessed to have lots of options in that category. Different anglers gravitate in different directions. For the Fishing 411 crew it’s especially difficult because we enjoy fishing for just about everything with fins and early in the spring the choices are many and the days available to fish are few. Immediately following ice out, Michigan residents can expect to enjoy some amazing perch fishing in places like Muskegon, White, Crystal and Higgins Lake. Typically these fish are found in fairly deep water and still fishing with live wigglers for bait is the best way to catch a quick limit. to find brown trout early in the spring. 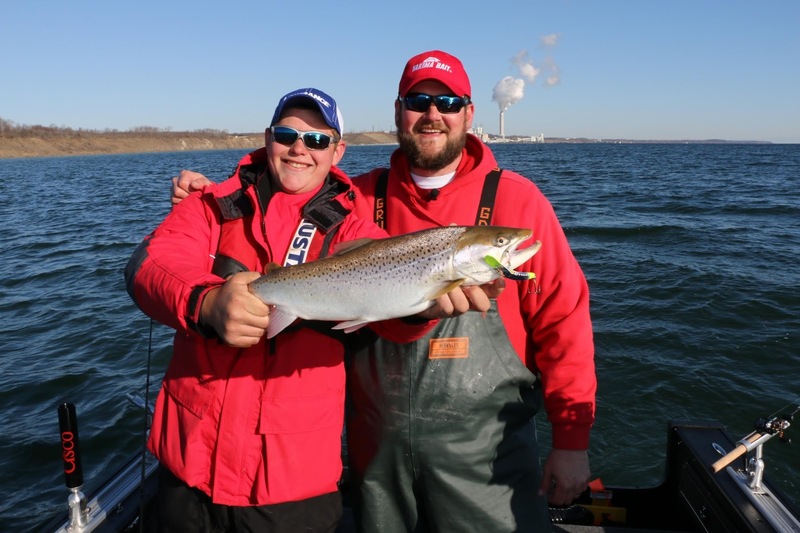 The Milwaukee and Racine areas in Wisconsin are also red hot early season destinations for brown trout. A little further away Lake Ontario near the mouth of the Niagara River can also be counted on to produce record numbers of brown trout. 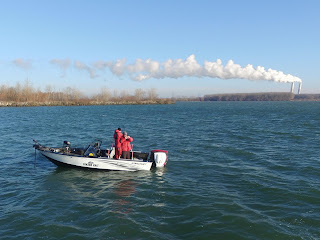 A bunch of anglers will have their sights set on the Detroit River as soon as the icebergs disappear. Historically this fishery peaks for big fish when the water temperature hits about 42 to 45 degrees. As the water warms most of the big females will have spawned and left the river, but a host of smaller male fish remain to keep the fishing interesting. The key to being successful on the Detroit River is being there when the water is clear. Muddy water created from excessive wind and run off from spring rains can ruin the fishing literally overnight. The king salmon fishery on Lake Michigan is currently in a down turn, but coho numbers are still pretty strong. Trolling the near shore waters of Lake Michigan from Benton Harbor to Michigan City provides the best odds for targeting coho with a few lakers and browns in the mix. Small crankbaits are one of the best ways to catch these fish and almost everything is caught fishing with planer boards. Because the water is clear and these fish are often found in shallow water, boards are mandatory for success day in and day out. 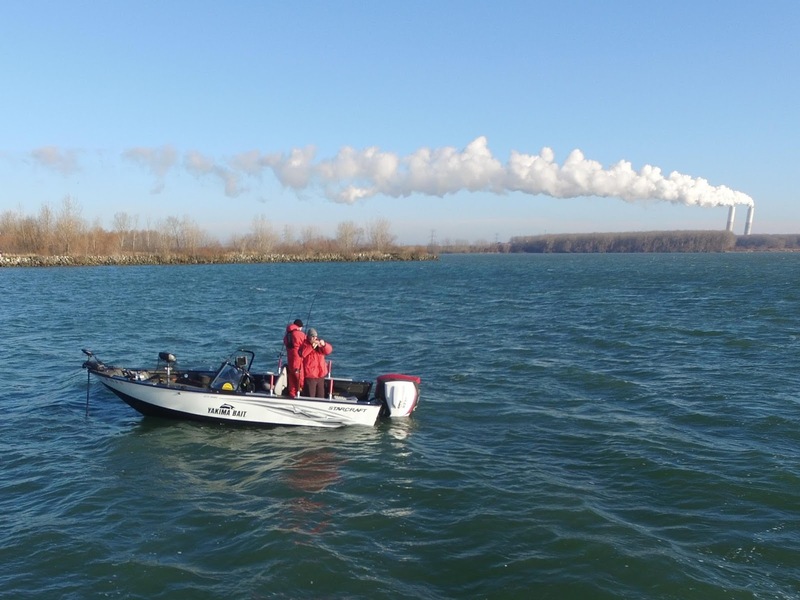 Michigan now has a catch and immediately release bass season that has opened up some amazing opportunities for anglers all across the state. Inland lakes are the best places to target for largemouth bass and Lake St. Clair is a prime target for anglers after smallmouth bass. Swim jigs, tubes and other soft plastics are historically the best way to catch bass in cold water. Slow down the presentation as much as possible and concentrate on places that have a little warmer water like shorelines, creek mouths, canals or ditches, etc. Prior to spawning Lake Erie walleye are very catchable by trolling crankbaits for suspended fish. This fishery sets up almost every year and typically takes place from Luna Pier on the west to the Bass Islands and further east as well. Subtle action cranks like the Rapala Husky Jerk, Deep Husky Jerk and the Smithwick Perfect 10 are great lures to try. Because the fish are suspended and often found near the surface, planer boards are a must for success. Because the water in the spring is often turbid from run off and wave action, bright lure colors tend to produce best. Chartreuse, pink, flame red and orange are all “go to” colors when the water is dirty. As the water clears, more natural colors are going to put more fish in the boat. The same pre-spawn walleye bite that happens in Lake Erie happens in Saginaw Bay. The difference is the bite on Erie happens a little sooner and because Saginaw Bay is further north it happens there a little later. Trolling cranks is the best option when the water temperatures are in the 40’s. Boards are mandatory and slow trolling speeds are essential to getting consistent action. Crappie spawn much earlier in the spring than most anglers realize. These fish move into the shallows seeking out warmer water prior to spawning and can be found along shorelines, in back bays, canals that drain into the main lake and boat mooring areas. A slip bobber rig set up with a 1/32 ounce jig and a small minnow is hands down the best way to temp crappie into biting in cold water. Fish slow and be patient. 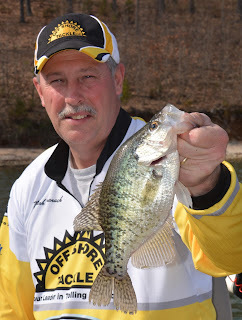 Crappie are often fickle about biting in cold water, but once fish are located the action can get fast and furious. The Great Lakes region has so much to offer fishermen. The fishing destinations and species available are many and unfortunately spring only lasts a few weeks. The best advice is to get out often and enjoy the changing of the seasons.